Mr. Adedamola Are is a 1987 graduate of Public Administration (B.Sc) from Michigan State University, East Lansing, Michigan (USA). He also received a degree in Hospitality Administration from The University of Nevada, Las Vegas, Nevada (USA) and also completed the Executive program at the Harvard Business School, Cambridge Massachusetts, USA. Mr. Are has extensive experience in the hospitality industry and held executive level positions in operations with Legacy Vacation Club, Hilton Hotels Worldwide and Marriott International. 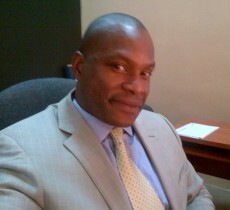 Mr. Adewale Suleiman is a 1996 graduate of Accounting (HND) from The Polytechnic Ibadan, Oyo State. He also received a membership qualification as a Chartered Accountant from The Institute of Chartered Accountants of Nigeria (ICAN) in 2005. He was inducted as fellow chartered accountant member of the institute (ICAN) in 2017. Mr. Suleiman has extensive experience in auditing and financial accounts analysis. He has also worked as Senior Manager-Accounts in an architectural firm. Mr. Suleiman assumed office as Assistant General Manager (Finance & Accounts) of Kakanfo Inn & Conference centre on Jan 15, 2019. 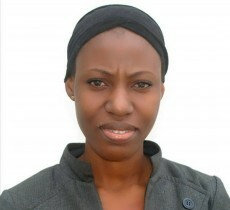 Miss Rukayat Durodola is a 2007 graduate of Accountancy from The Polytechnic Ibadan, Oyo State. Nigeria. 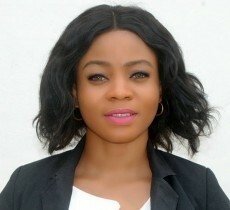 She has worked with Esparte Oil & Gas Marketing company as a Secretary/Account Officer, before joining Kakanfo Inn & Conference Centre as a Management trainee in June 2011. She was promoted to the post of Accounting Manager in July 2013 and made Principal Manager in August 2015. She is reponsible for Security and Accounting. Mr. John Ayodele Akinwale is a 2007 graduate of Accounting (B.Sc.) from Ambrose Alli University, Ekpoma, Edo state. He has extensive experience in Accounting and Auditing and held an executive level position in Internal Auditing with Jubilee Conference Centre, Ibadan. 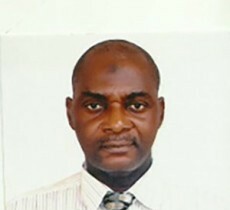 Mr Akinwale assumed office as a Senior Manager- Internal Audit in January 2019. He is responsible for Internal Auditing, Control and Compliance of the company. 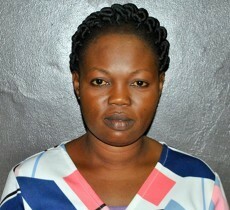 Mrs. Oreoluwa Esan is a 2010 graduate of Accounting (HND) from The Polytechnic of Ibadan. She has extensive experience in the hospitality industry and held mid-level positions in operations with Kakanfo Inn & Conference Centre as the Account officer from 2004 to 2009 in which she left. She rejoined the company in 2012, as the Conference Centre Manager and was promoted to the position of Operations Manager (Sales & Events). She left to join SELA Consult LTD as the Logistics/Welfare Officer in 2016. Mrs. Esan returned to Kakanfo Inn and Conference Center in 2018 and is now responsible for managing all on-site events and function space. Ms. Chinasa Mercy Egelemba is a 2016 graduate of Accounting (B.Sc) from Obafemi Awolowo University, Ile-Ife, Osun State. She has extensive experience in the hospitality industry and held a junior level position in operations as a Guest Service Advisor with Genesis Suite and Halls, Ibadan. Ms. Egelemba assumed office as Operations Supervisor-Admin of Kakanfo Inn & conference Centre in January 2019, and she is responsible for all human resource activities including recruitment and trainings, and administrative duties.